It might look like we’ve stepped in something unspeakable, but the mess on the sole here is in fact Five Ten Stealth Paint, made from recycled rubber. Designed primarily for climbers, it comes in a kit form where you mix rubber granules with glue and paint it onto the soles of any shoe. It’s designed for repairing sections or adding grip to specific sections of the shoe, so it really didn’t go very far… which turned out to be a blessing in disguise. We daubed it onto the shoe where you want your pedal to sit, leaving the rest au naturel and skiddy, helping you locate the pedal when you need it. The rubber proved just as tacky as on the latest generation Five Ten shoes, plus the Stealth Paint is a cheap option at £16.50 and easy to apply. 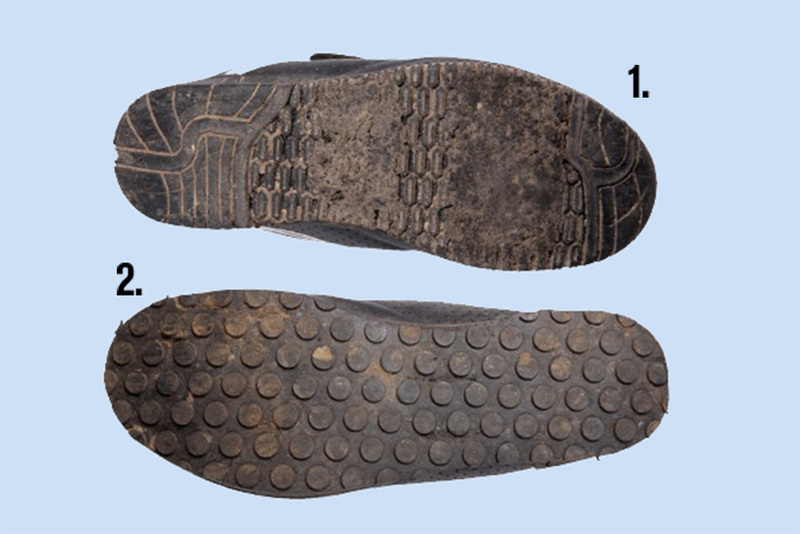 A few companies can resole your shoes with Stealth Five Ten Dotty rubber. We sent our shoes to Lancashire Sports Repairs, who shipped them back within a week. They scoured off the original grip and fitted the Dotty instead. The Dotty sole made the shoe feel slightly stiffer and less flexible, which was a significant improvement over the old shoe. The rubber is tacky but isn’t as soft as the latest generation of Five Ten rubber we love so much on the Freerider VXi — it feels more like the Five Ten Impact shoe from a couple of years ago (we measured it at 60a compound, compared with 40-50a for new Stealth). The overall results are impressive but the grip could be tackier. And at £53 including return P&P, it’s still not that cheap. Want new shoes? Read our Best MTB Shoes buyer’s guide, with 11 of the best riding footwear tested.